A lot of people tend to think of treadmills as nothing more than convenient pieces of exercise equipment that give people the ability to get in a great cardio workout by walking, jogging, or running indoors, no matter what the weather is like outside. But a treadmill is a lot more than a simple tool that allows you to stay physically fit when you can’t run outside for your aerobic training and your weight loss goals. It is actually a great way to tone up your entire body and improve your overall health quickly. If you regularly suffer with back pain, stiffness, or even spasms, getting on a treadmill every time that you exercise can help you relieve this discomfort. Working out on a treadmill can help you because of its ability to make your entire back feel better. If you regularly suffer with back pain, stiffness, or even spasms, getting on a treadmill every time that you exercise can help you relieve this discomfort. If you are not sure how walking or jogging on a treadmill can possibly have any kind of an effect on your back, though, continue reading. The information below will help clarify how a treadmill can help those who suffer with chronic back problems. One of the ways that a treadmill can benefit your back is in its ability to get you moving. This rushes blood throughout all of the extremities of your body, as well as all of the areas of your back. If you feel a backache or soreness before you get onto the machine, the key is to start very slowly. Warm up your body by walking gently on the treadmill, rather than getting right into a jog. This will allow the blood to flow to all of your back muscles and relieve any tension there. 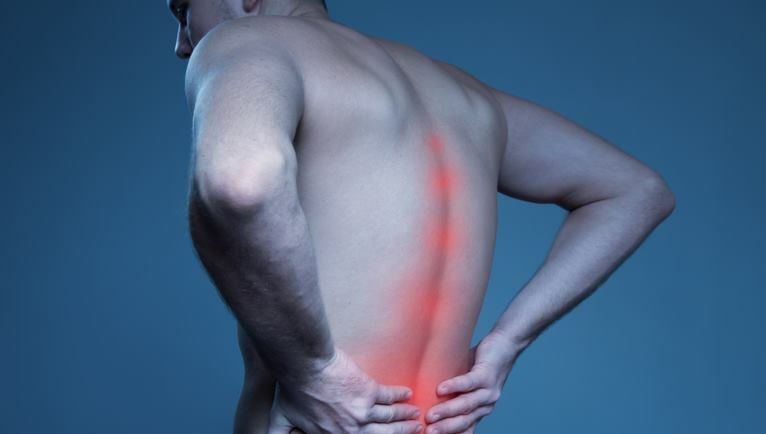 Many back problems are due to muscles that are not strong enough. Your lower back muscles, in particular, may ache when you are on or off a treadmill, and this could be indicative of the fact that your core, which wraps around your waist and to your back from your abdominal muscles, needs to be worked harder in order to be strengthened. Once your core is stronger, you should notice that your back is stronger as well, and you no longer feel as fatigued in that area of your body. Nor do you feel achy when you are on the treadmill and when you are just relaxing at home. Many people choose to take advantage of the incline features on their machine. This is a great idea because the incline is the perfect way to really engage your muscles and get yourself to a better state of health. But an incline can be extremely difficult to accomplish for someone who is inexperienced at this type of workout or who suffers with back problems. Again, the key is starting off slowly and building your way up. Start by using the lowest incline possible at a walking pace. Then build up, little by little every day as you feel more comfortable and stronger, until you are at the highest possible incline and you are able to either walk or jog. Remember, the incline is all about building up muscle strength and endurance, so you do not need to worry as much about speed if you are focusing your efforts on overtaking a challenging incline. If your back begins to hurt during an incline workout, do not hold the treadmill’s rails. This is a big mistake that a lot of people make that actually does more harm than good to your back. Let go and let your arms swing naturally as you walk and push yourself forward. This will allow your core muscles, including your lower back muscles, to become engaged. And, once they are engaged properly, they will grow stronger every day until you have no more pain. Many people forget when they are on a treadmill that some muscle aches are completely normal during a workout routine. After all, if you are working on a muscle to the point that it is fatigued and challenged, you should expect it to ache. And you should also expect it to be sore over the next 72 hours as well because it will need to rebuild and repair itself. Therefore, if you feel your back muscles being worked during a treadmill exercise, keep going. You will see results, and the discomfort will fade. Only stop if you have severe pain that really stops you in your tracks. Using your machine every day will improve your cardiovascular health, as well as the health of your muscles. Improve your back strength by utilizing a treadmill at home or at the gym and feel those muscles grow.